Most of the algorithms have been preserved from OSPFv2, however, some changes were needed either to support larger address space or due to changes in protocol semantics between IPv4 and IPv6. IPv6 uses the term "link" instead of "subnet" or "network" to define a medium used to communicate between nodes at the link layer. 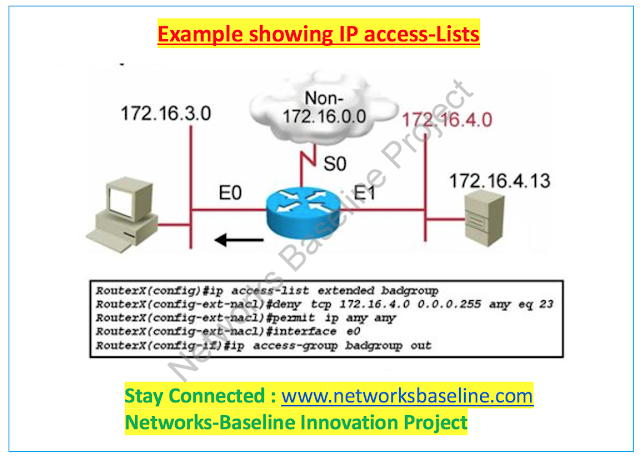 Multiple IP subnets can be assigned to a single link, and two nodes can communicate with each other even if they do not share a common IP subnet. This change affects Hello packets and Network LSAs processing. IPv6 addresses are not present in OSPF packets, except in Link-State Update (LSU) packets. Router and Network LSAs do not contain network addresses, but only contains topology information. OSPF Router ID, Area ID and Link-State IDs remain at 32-bits size- they cannot be assigned IPv6 addresses. Neighboring routers are identified by Router IDs only. Link-local scope- LSA is flooded only on local link and no further. New Link-LSA uses link-local scope. 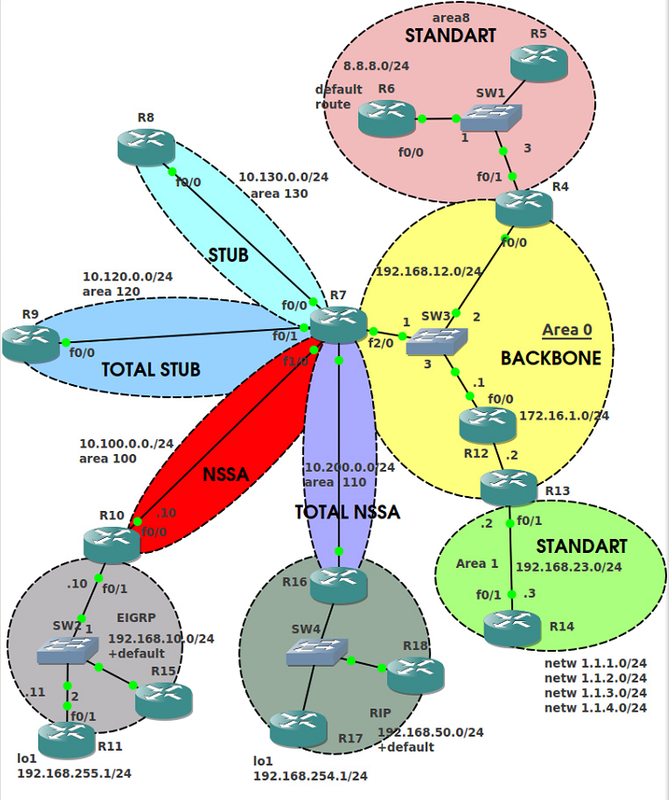 Area scope- LSA is flooded in a single OSPF area. Router-LSAs, Network-LSA, Inter-area Prefix-LSAs, Inter-area Router-LSAs and Intra-area Prefix-LSAs use Area scope. AS scope- LSA is flooded throughout the routing domain. AS-external LSAs use AS scope. 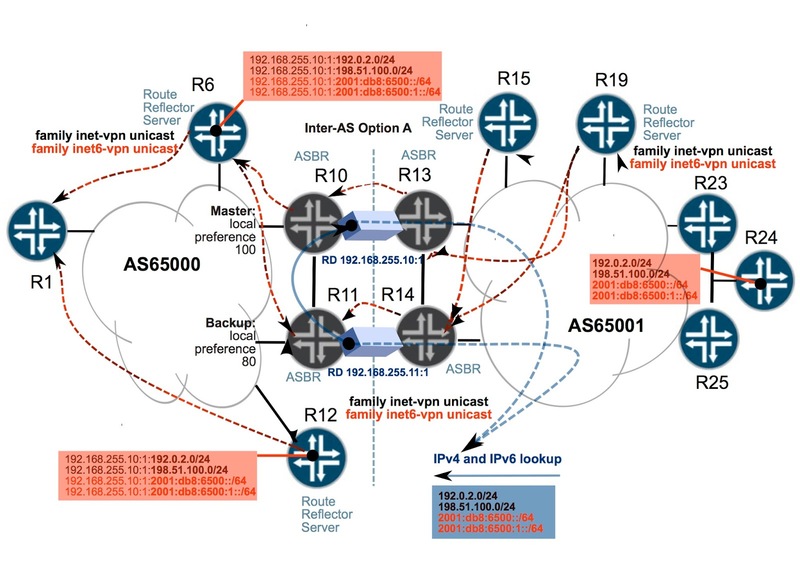 Providers may run different OSPF domains and would like to keep it seperate even though if they have one or more links in common, can use multiple instances on the same link. If someone wants a single link in more than one area can use multiple instances on the same link. Multiple instances on the single link can be achieved using "Instance ID" contained in the OSPF packet header. OSPFv3 requires that every interface has a link-local address from the range FE80/10. A router uses the link-local address as next-hop during packet forwarding for the neighbors attached to its links. On virtual-links, global or site-local addresses are used for packet forwarding. Link-local addresses are only sent in Link-LSAs, and not allowed in any other OSPF LSAs. In OSPFv3, Authentication for OSPF has been removed. OSPFv3 relies on IPv6 Authentication Header (AH) and Encapsulating Security Payload (ESP) to ensure integrity and authentication/confidentiality of routing exchanges. Accidental data corruption is handled by checksum. Version number is now 3. Two option bits, "R" bit and "v6" bit, are added to Options field for processing Router-LSAs during SPF calculation. Options field is removed from LSA header, increased to 24-bit and moved to Router-LSAs, Network-LSAs, Inter-area Router-LSAs (Type-4 LSA in OSPFv2) and Link-LSAs. LSA Type field is expanded to 16 bits with upper 3 bits encoding flooding and handling of unknown LSA Types. Addresses in LSAs are now expressed as [prefix, prefix-length]. The default route is expressed as a prefix with length 0. Router and Network LSAs have no address information. Router LSAs are concatenated before SPF is run. Type-3 summary LSA is now Inter-area Prefix-LSA and Type-4 summary LSA is now Inter-area Router-LSA. New Intra-area Prefix-LSA is introduced. It carries all IPv6 prefix information that in IPv4 is carried in Router and Network LSAs. Unknown LSA Types are either treated as having link-local flooding scope, or stored and flooded as if they were understood. Stub area support has been retained in OSPFv3. Only Router-LSAs, Network-LSAs, Inter-area Prefix-LSAs, Intra-area Prefix-LSAs and Link-LSAs are allowed in a Stub area. b) the LSA has U-bit set to 0. Neighboring routers on a given link are always identified by a Router ID. This behaviour is valid for neighbors on point-to-point, virtual-links, broadcast, NBMA and point-to-multipoint links. Router ID 0.0.0.0 is reserved. What is the subnet mask 10.2.1.3/22? What is the administrative distance of EIGRP, eBGP, iBGP? What is your favorite routing Protocol? In EIGRP, what is a Stuck in Active route? In OSPF, what is a totaly stubby area? What does Area Zero do? Which internal routing protocol would use if you needed to route between Cisco and non-Cisco equipment? Explain what a 3-way handshake is in TCP? What is a VLAN trunking protocol? What is the different between 802.1q and ISL? Explain what is an Ether-Channel? What do you need to do to setup a VTP domain? What is Spanning Tree used for? What is a root bridge and why do you need one? What is needed on a router interface to allow DHCP to function on a subnet? Describe what a stateful firewall is? What is HSRP? Is this an open standard? In a PIX/ASA, what are security levels used for? What two things are needed in a PIX/ASA firewall to allow traffic to pass from a higher security level to a lower security level? In IPSec VPNs, what is diffie hellman? What is it used for? In an IPSec tunnel, what is main mode?